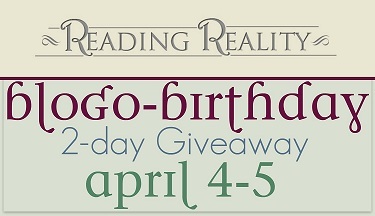 Blogo-Birthday Celebration + Giveaway – Escape Reality, Read Fiction! The content and blogger being consistent. I’ve been to several blogs where the last post was 3 months prior. If a blogger has great info reviews and giveaways I’m going to stay with it. Interesting and informative posts are a good thing. I enjoyed your posts on the late, lamented BLI so followed you here. I like your selections–both old favorites and new things to challenge me. Happy birthday and blog anniversary. I hope you have many more! 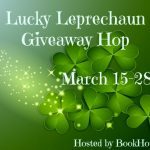 I keep coming back for the reviews and hops/giveaways you participate in. I like your Sci-Fi reviews. I’ve added a lot of them to my TBR. As for turning away – nothing on the blog has. I also like the lay out and set up as well. Keep up the great blogging. Happy birthday and blogger celebration! Why I keep coming back to a blog is to experience a friendly, informative discussion/review of books and to find new ones. What turns me away from a blog is negativity and swearing in the discussions/reviews. Good content brings me back to a blog. Boring content keeps me away from a blog. I’ve been following your blog since its first name. Wow! Didn’t realize it had been that long! Congratulations! I love your reviews and have found books because of you. I enjoy current reviews and excellent features. Thanks. Best wishes. What keeps me coming back is the content. If it’s boring then I most likely won’t be back but if I find it interesting then I will. Also, the frequency of updates. If the blog’s updated regularly then I’ll be back because it’s harder to forget it exists but if the updates are far apart then I’ll end up forgetting about it. Hello! I am a new blogger. I love the layout, variety of content, and composition of the posts. This blog is very inspiring. Happy Birthday tomorrow and Happy 8th Blogiversary. 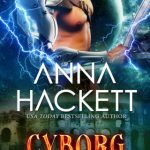 I come back for reviews and info on new books as well as giveaways. Boring posts drive me away. What turns me away from a blog is if they go months at a time without posting. I also don’t mind if I disagree sometimes with their opinion on a book, but if we consistently disagree then I’m not going to find the content all that helpful because mostly I’m looking for book recommendations, and if their taste is so frequently different from my own, it probably isn’t going to work for me. Happy Blogoversary and thanks for the giveaway! I like reading reviews on books that I am interested in reading on blogs and what turns me away from blogs is when they put political or inappropriate opinions on their blog. The book reviews keep me coming back. Happy Blogiversary. I’m all about learning new things, authors, recipes..etc..what keeps me coming back is the content. I prefer a blogger that is humorous, knows what they’re even talking about, and most importantly..say it’s putting on make-up or learning a recipe..an actual step by step to get you to be able to do it correctly. Happy celebrations, I like the easy to enter giveaways now and then, also the lovely tours and reviews. Nice and cool blog. I dislike the overly long giveaway hops.. but that’s not necessarily at your fault. I look at the contests. They have to be good. Great reviews and giveaways will keep me coming back and poor blog posts and content will turn me away. Fun and interesting information. I like to enjoy myself. Just depends on what you’re talking about. If I see a lot of incorrect or misleading information I would not return to that blog. Seeing topics that interest me and giveaways keeps me coming back to blogs. I hate posts that obviously advertise products that the blogger is getting paid to review. Interesting content that appeals to me. Happy blogoversary and wishing you many more amazing to come!! Consistent and interesting topics, reviews that help me choose what to read next are just some of the reasons for coming back to a blog. As what turns me away in general – irregular updates, weird layout, boring content.. I go to read blogs because their entertaining to read. I love reading all the reviews and finding new authors! I have found some of my favorites that I might now have found otherwise 🙂 Thank you!!! What turns me away from a blog, is when the content does interest me. I love when many different genres are reviewed…helps me find ones that I might now find otherwise, and can still skip over the genres that I do not read. I love the reviews, features, and giveaways! 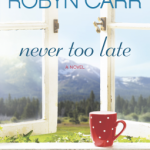 Pingback: The Sunday Post AKA What’s on my (Mostly Virtual) Nightstand 4-7-19 – Escape Reality, Read Fiction! Blogs I turn away from consistently have reviews of a genre I am not interested in. I like tips that make life easier whether it’s saving money or a recipe, etc. I also love giveaways. What turns me away from a blog is uninteresting content. I enjoy the variety of different genres books you do 😀 happy blogo birthday! When a blog is full of engaging content, I will keep coming around to see what’s new. Consistent posting about topics that interest me is what keeps me coming back. If there are gaps of a week or more I start to forget to check even if I have a page bookmarked and usually it just falls by the wayside then. I come back to a blog that has good contests (like yours) – I’m a contest junkie. I get turned off by blogs that take up too much CPU and slow down my computer. I like a clean, not cluttered, blog (like yours). What keeps me coming back is posts about recipes, travel, lifestyle stuff and giveaways. If a blog posts interesting articles on a consistent basis, I will always come back. I will turn away from a blog if there content does not grab me, or if they do not post enough updates to keep me coming back. 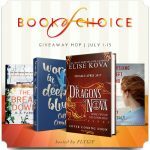 What keeps me coming back to a blog are great giveaways and book reviews. I find out about new authors and books to add them to my TBR list. What turns me away are blogs HEAVY with ads and pop ups. They take forever to load on my kindle. I have dropped a few giveaway blogs for that very reason. Another turnoff is a giveaway form that doesn’t have clickable links. It is difficult having to cut and paste the link or having to hunt through the blog to look for the social media links. Hhhmmm, I think it would be when the reviews are more summaries than actual thoughts on the books. When you follow someone, it’s often to get news and/or to read reactions to books so you can see if it’s for you, or to help you gather your own thoughts on the novel, etc… but when the post is just or mostly a recap of what happens, I lose interest. What turns me away is inappropriate covers. Good Morning America! Good luck! I love all of the detailed book reviews! Nothing turns me away, not too many ads or anythng of the sort. It’s hard for me to say for sure what turns me away but a lot of times I think it’s just that I lost interest over time because the content isn’t something I’m interested in or the bloggers aren’t posting as much. The contest keeps me coming along with the great layout there is nothing worse then one of those blogs that looks like a 5 yr old made it. The great reviews and giveaways keep bring me back. Too many popups and not enough content turn me away. Great reviews keep me coming back. I like the reviews and finding New books to read.